Pop superstars Ariana Grande and Years & Years will headline Manchester Pride Live 2019. Also performing over the weekend will be Kim Petras, Louisa, Lady Leshurr, Bananarama and loads more. A brand new addition to this year’s celebrations, Manchester Pride Live takes place on Saturday 24 and Sunday 25 August 2019 in Mayfield, a former Royal Mail parcel depot located in Piccadilly. Manchester Pride Live will play host to some of the world’s biggest musical artists over pride weekend, across multiple indoor and outdoor stages. Manchester Pride is an annual festival that celebrates the lives of LGBT+ people as well as campaigning for LGBT+ rights and raising vital funds for LGBT+ charities. Alongside a full music programme, Pride also encompasses the Superbia Weekend, the Gay Village Party, the Candlelit Vigil and the famous and wildly celebrated Manchester Pride Parade. 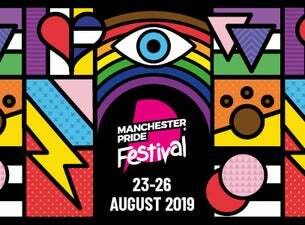 This year’s Manchester Pride will take place between 23-26 August 2019.